Make payments list columns sortable on admin area. Enable searches on payments list on admin area. Added payment default data in order to make "Add new payment" button work. Full support to GamiPress Gutenberg blocks. Fixed points type issue on "Purchase a minimum amount of points" event. Fixed some typos on plugin messages. Added support to GamiPress admin bar menu. Added backward compatibility with old [*_purchase_form] shortcodes. 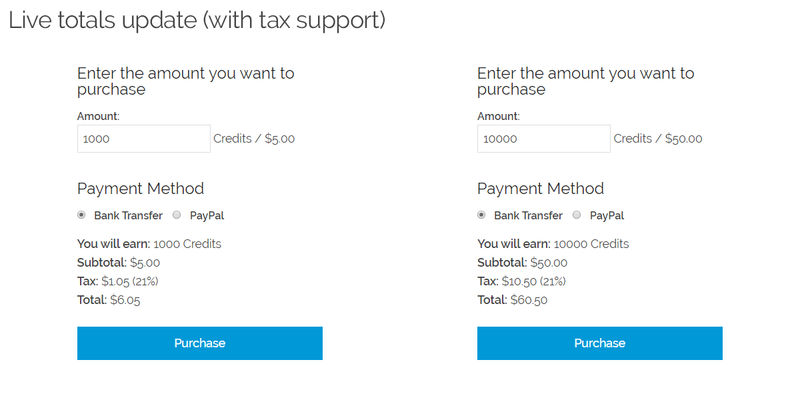 Double points type field on payment item assignments. Wrong payment notes on PayPal refund. Wrong achievement and rank IDs on widgets. Fields visibility on points purchase shortcode and widget fields. Added extra checks on rules engine for custom events checks. Renamed the insert payment note function to fix a typo, keep old function for backward compatibility. Support for WordPress personal data exporters. Support for WordPress personal data erasers. Support for GamiPress multisite features. Make changelog notes more clear. Added new filters for new privacy functions. New attributes "acceptance" and "acceptance_text" on shortcodes for purchase forms to meet with GDPR. New fields "Acceptance Checkbox" and "Acceptance Text" on widgets for purchase forms to meet with GDPR. Achievement default values on shortcodes and widgets. Rank default values on shortcodes and widgets. 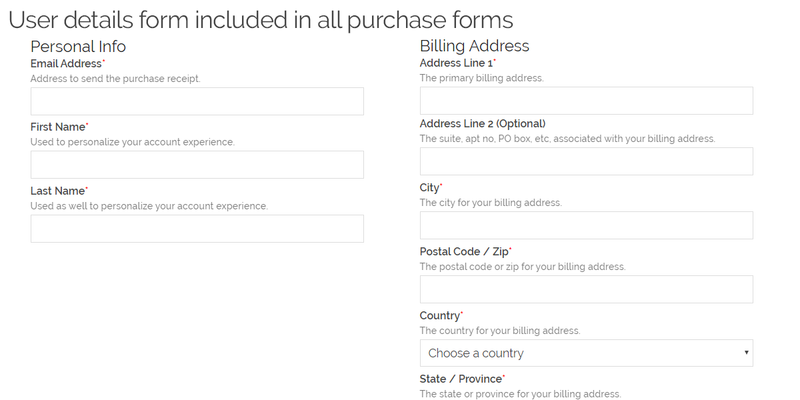 Wrong label for attribute on billing address and personal information forms. Wrong gateways value on widgets. Wrong priority when overwriting a template. Purchases gives you the ability to bring the opportunity to your users to recharge their points, unlock achievements or unlock ranks by an amount of money. In just a few minutes, you will be able to place purchase forms around your site and award your users for make purchases. 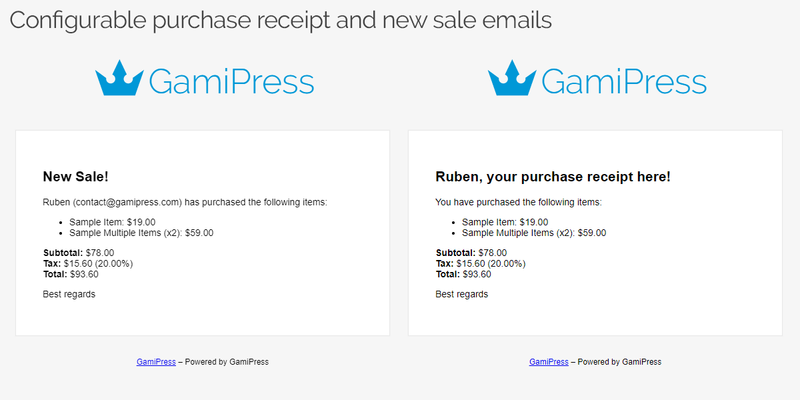 Purchases extends and expands GamiPress adding new activity events and features. New purchase When an user makes a new purchase. 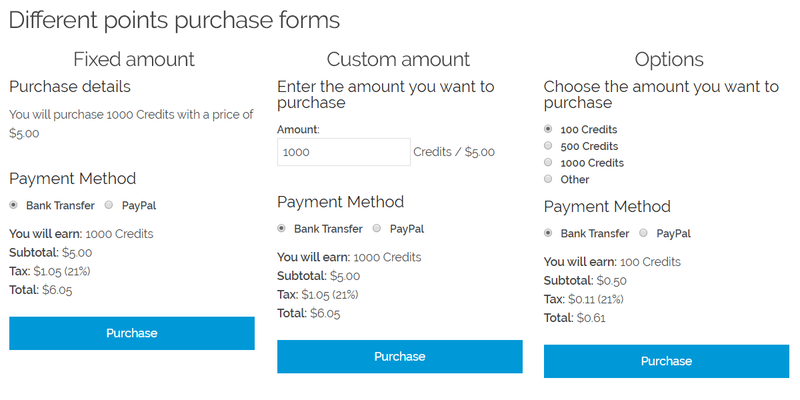 Purchase a minimum amount of points When an user purchases a minimum amount of the desired points type. Purchase access to an achievement When an user purchases the access to any achievement of the desired achievement type. Purchase access to a specific achievement When an user purchases the access to a specific achievement. 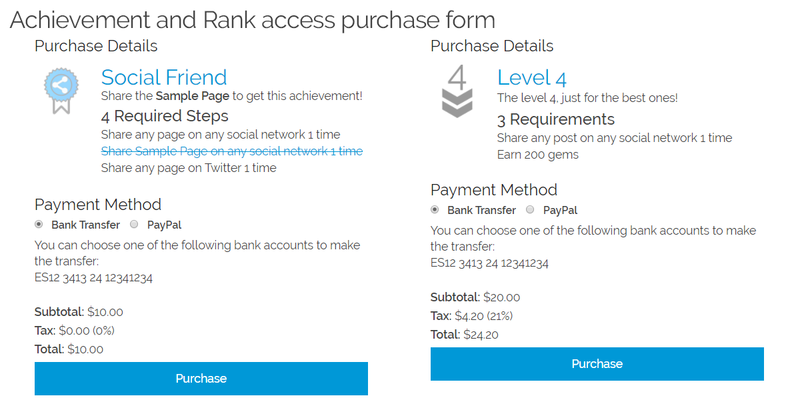 Purchase access to a rank When an user purchases the access to any rank of the desired rank type. Purchase access to a specific rank When an user purchases the access to a specific rank. 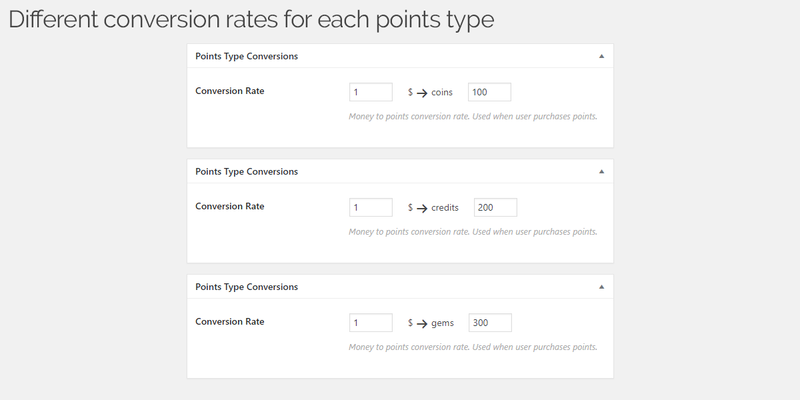 Ability to define different conversion rates to each points type. Ability to define the access price to any achievement/rank. 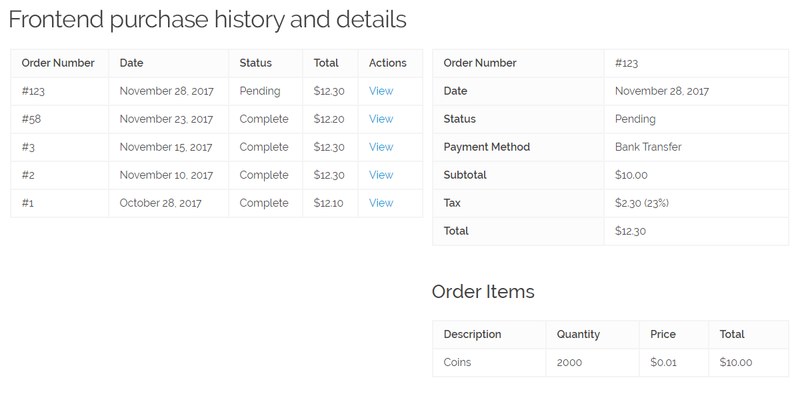 Frontend purchase history with details of each purchase. Currency options to show prices at format you want. 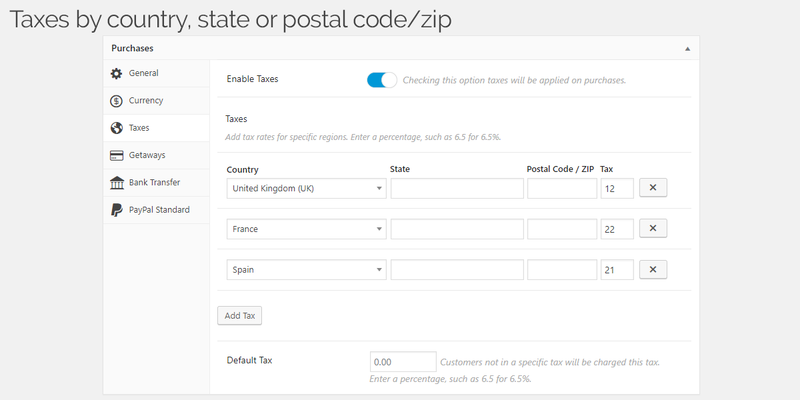 Tax support to add taxes based on country, state and postal code/zip. Configurable acceptance checkbox to explicit consent of data collection to meet with GDPR. 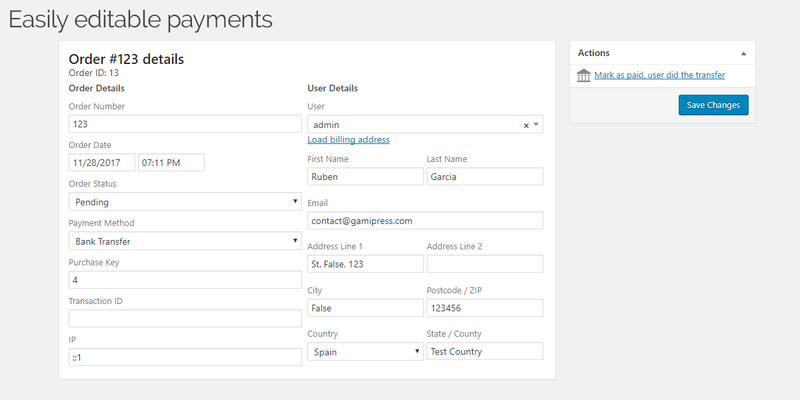 Configurable email to send the purchase receipt to the customer. Configurable email to notify admins about new purchases. Easily editable payments to allow you add new items, change taxes or add notes. Ability to resend the purchase receipt. Support for WordPress privacy tools. Points To let your users recharge a desired amount of points. Achievement To let your users get an achievement without complete all the steps. Rank To let your users reach a rank without complete all the requirements or previous ranks. Fixed Amount Users will be able to purchase a predefined amount of points. Custom Amount Users will be able to set a custom amount of points to purchase. 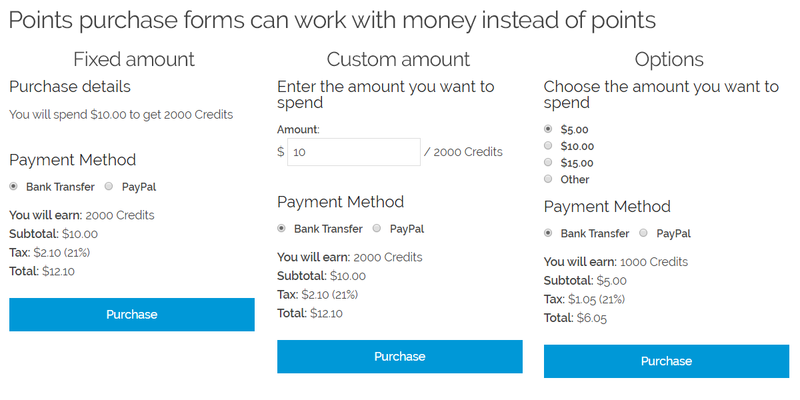 Options Users will be able to choose between a predefined amount of points to purchase. Note: For each points purchase form, you will be able to set the amount type to work with, this means you can show a purchase form to buy an amount of points (with the cost in money) or a purchase form with the amount of money to expend (with the amount of points that user will get). Integrated with the official add-ons that add new content to achievements and ranks. Shortcodes to place any purchase form anywhere (with support to GamiPress live shortcode embedder). Widgets to place any purchase form on any sidebar.